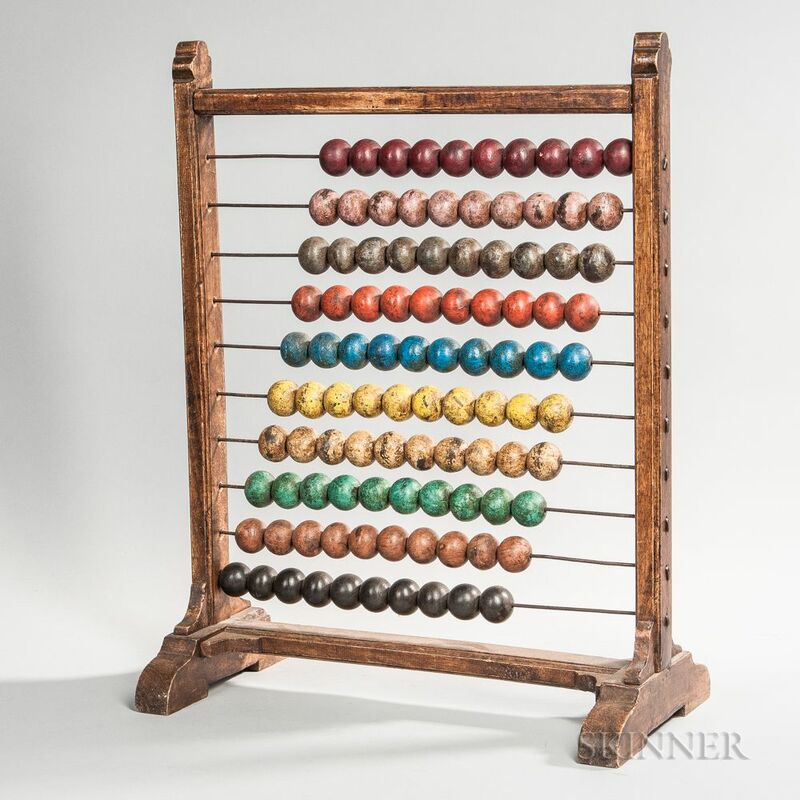 Large Standing Abacus with Ten Sets of Counting Beads, late 19th century, shaped uprights and beaded crosspieces surrounding ten registers of ten distinctly painted balls which slide on heavy gauge iron wire, all on trestle feet, ht. 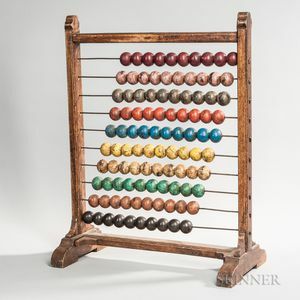 29, wd. 22 1/2 in.